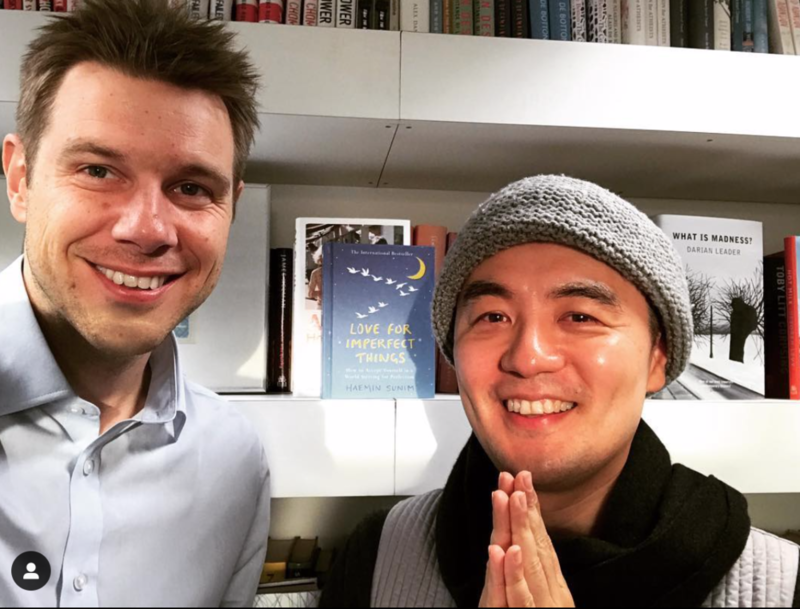 Haemin Sunim is one of the most influential Zen Buddhist teachers and writers in the world. His books have been translated into over 30 languages and are great guides not only to meditation but also to overcoming the challenges of everyday life. I met him in Central London last week and as you'll hear, he instantly started turning negatives into positives. And... I loved the way he told me he reads his own books for advice. He has more than a million followers on Twitter (@haeminsunim) and Facebook. Check him out and enjoy listening. His new book is called Love For Imperfect Things - I loved it and it’s out now so grab yourself a copy.